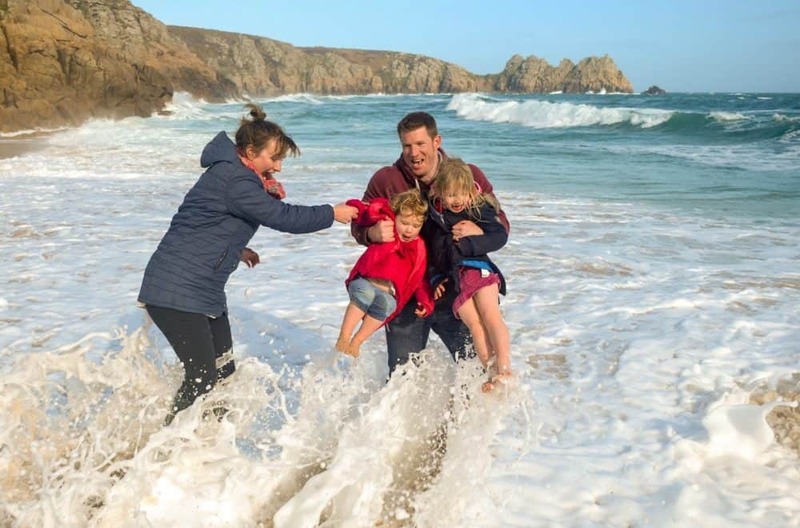 Over the years I have had messages from lots of new parents who have started caravanning with a baby or toddler and are wondering what’s the best sleeping arrangements for young children in a caravan? 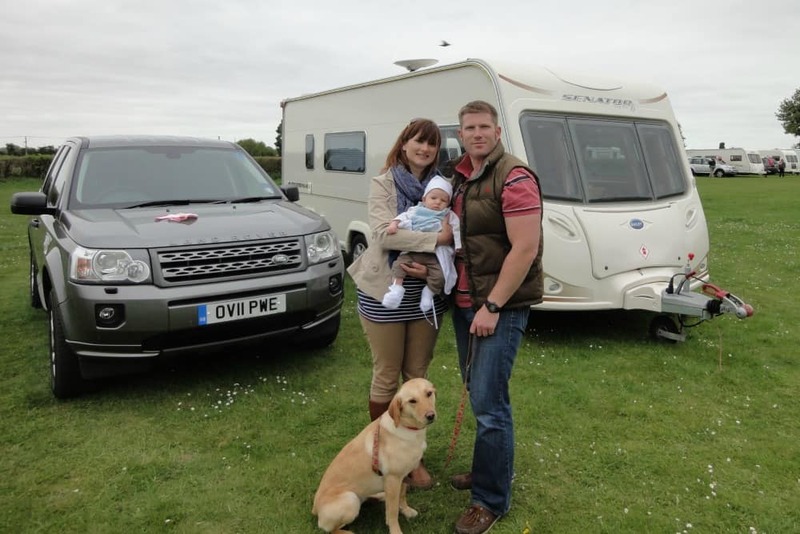 We started caravanning with Baby and Tot when they were just weeks old. I found it easier than being at home with everything I needed for feeding, burping and nappy changing close to hand. Plus, there was always someone on the campsite who wanted a cuddle while I did otherwise complicated tasks like going to the loo on my own. 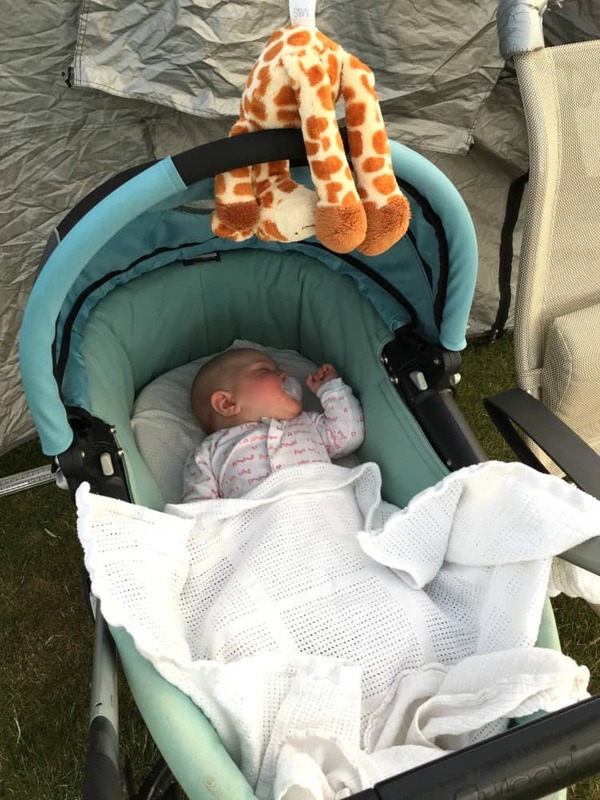 Both Baby and Tot started off sleeping in the pram top of our Quinny Buzz. We either positioned this on one of the seating benches or at the end of our bed to give us easy access to them. At six months old Tot was getting far too long for her pram top so we had to come up with another solution. At the time we had a Bailey Senator Arizona with a side dinette that converted into bunk beds. We didn’t need the top bunk so Mr Tin Box did some modifications to turn the bunk planks into ‘cot sides’ for the bottom bunk. 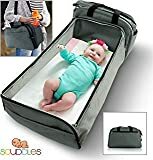 When Tot became a bit more mobile we made sure there were cushions on the floor to break her fall if she did try to crawl out at night. 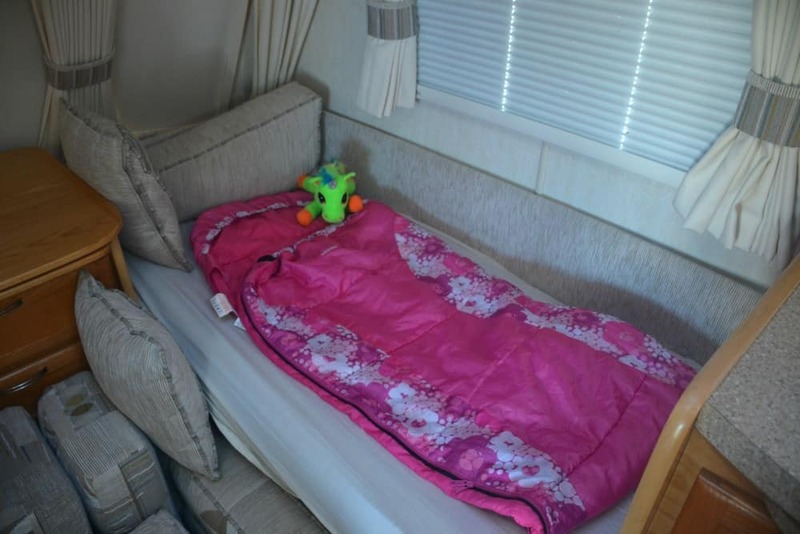 You’ll find that spare cushions become your friend when setting up any kind of caravan bed for young kids! 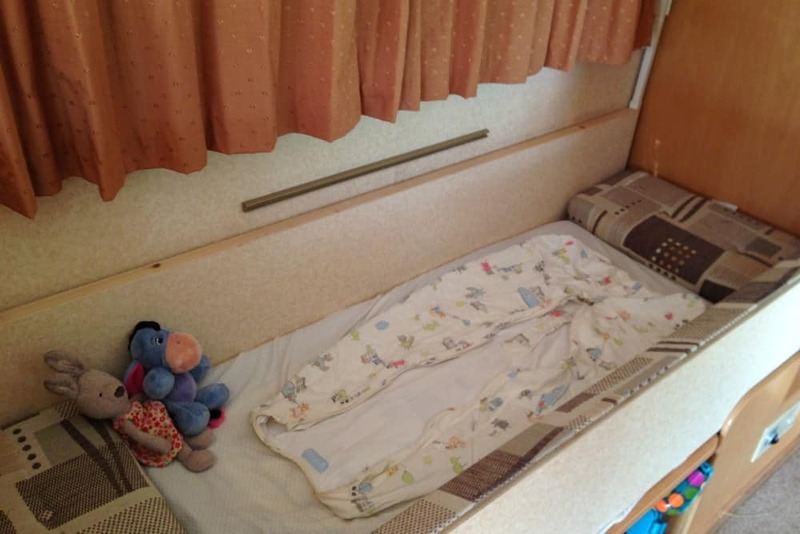 The bottom bunk with sides worked well for Tot until we changed caravans. This coincided with Baby arriving. 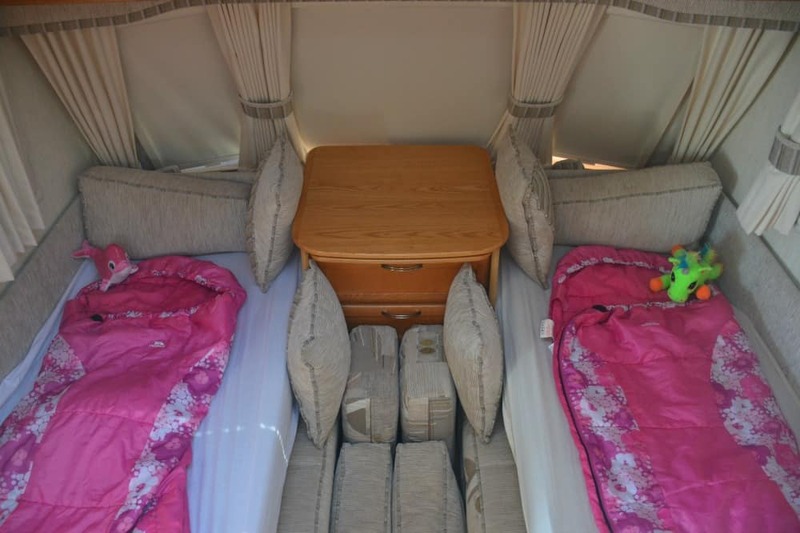 In our Vanmaster Applause 580 we had a fixed double bed towards the back of the caravan and two seat benches at the front. These converted into another small double bed. 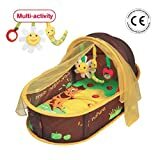 This is what we turned into Tot’s caravan bed at the age of two. We made up the whole bed with cushions down the middle and at the end so she didn’t roll around too much or fall out. We put more cushions down the middle to form two sleeping areas when her little sister was old enough to join her. When the girls turned five and three we didn’t make up the whole front double bed. Instead we made up two single beds for them on the benches and arranged cushions in the gap in-between incase either fell out in the night. This generally didn’t happen. We think that this arrangement would last until the girls are seven and five when they became too long for the benches, which are just under 1.5m in length. We’d probably be looking for a caravan with bunk beds then. 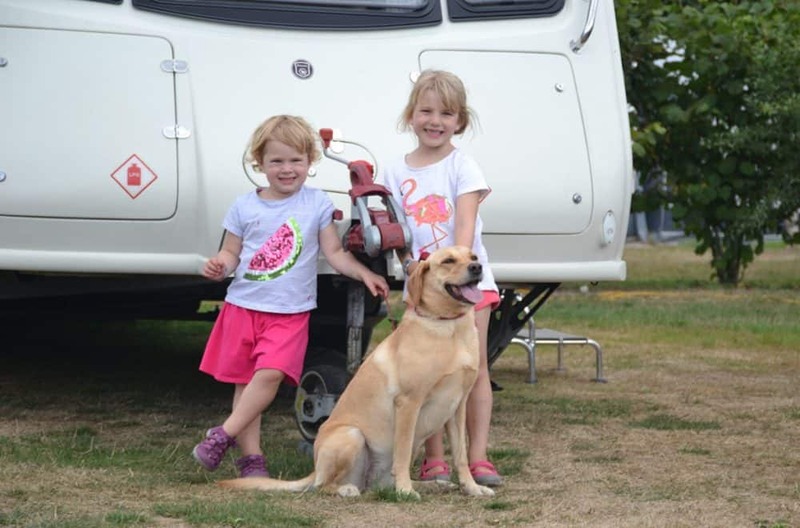 Luckily, once your kids hit five-years-old caravan manufacturers seem to cater a lot more for family needs. 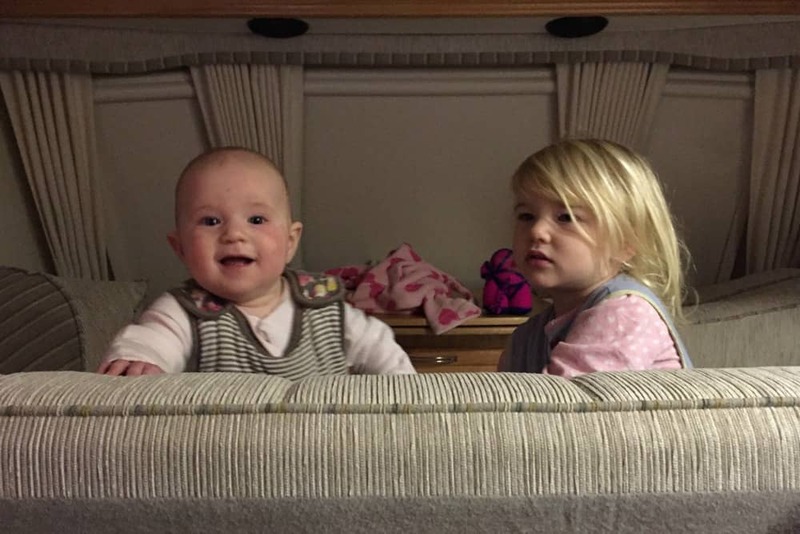 If you have any questions about caravanning with a baby or have any tips to share yourself then please comment below or get in touch.